When there is insufficient irrigation water to meet the water demands of a crop, the available irrigation water must be applied in the most efficient manner possible. There are available strategies for maximizing irrigation water efficiency. Deficit irrigation strategies may be available to make the best use of limited water supplies. 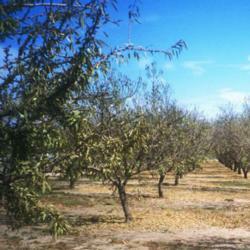 Click here for Crop Irrigation Strategies for almonds, pistachios, stone fruit, walnuts, alfalfa, olives, winegrapes, corn, and processing tomatoes. Quality Irrigation Scheduling can be critical to efficient irrigation water use. Evapotranspiration (ET) irrigation scheduling, soil moisture monitoring, and plant-based irrigation scheduling are all discussed. For further California drought information, experts, and resources, please visit the California Institute for Water Resources drought pages.